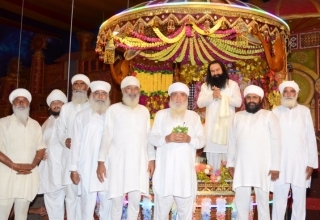 The Golden Jubilee birthday of Saint Dr. Gurmeet Ram Rahim Singh Ji Insan is being celebrated in several unique ways across the world. 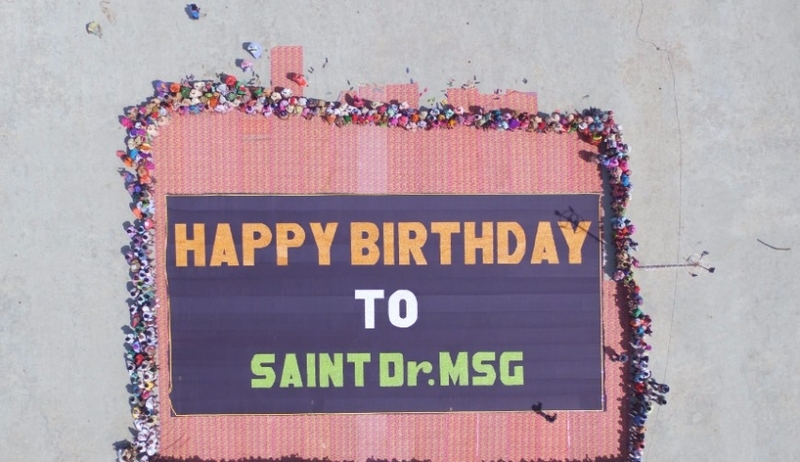 The celebrations started in 9th…..with followers of the Dera Sacha Sauda planting 35 lakh trees across various states of India and even in overseas countries in just one day. 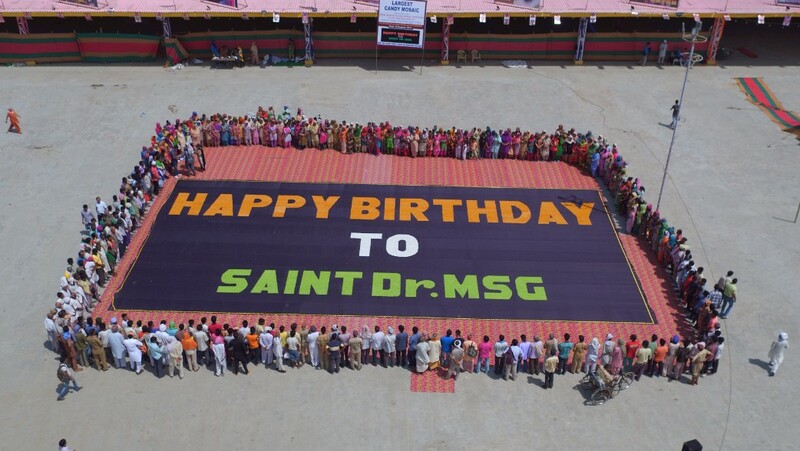 On 18th August, a new world record has again been set for the World’s Largest Candy Mosaic by volunteers of the Dera sacha sauda. The world record for the World’s Largest Candy Mosaic was created by 75 people in just 5 hours. Starting at 6:30 am, the participants broke the record by completing a giant mosaic made of candy at 11:30 am. The overall dimensions of mosaic was 2426 sq ft but candies Spread across an area of 356.98 sq. ft., this giant mosaic was made using 100062 candies. 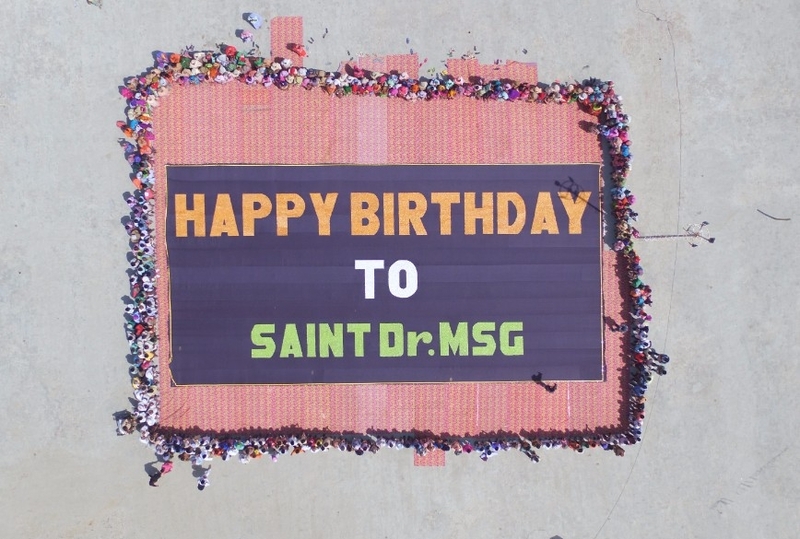 By arranging the candies in a special manner, the participants created a mosaic with a message which said “Happy Birthday to Saint Dr. MSG”. 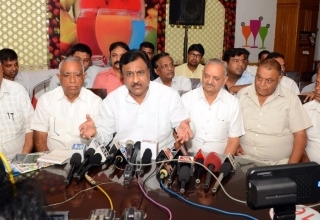 The details of this event will now be sent to the Guinness Book of World Records .